You’ve lived your life chronologically. But is that the best way to present your memoir? Is that the most psychologically interesting or dramatically powerful approach? And if that ISN’T the best way, what IS? What is the best organizational scheme for your memoir? We’ll address this! You have a story to tell. But does it feel SAFE to tell your story? If it doesn’t, you may have only intellectual permission to write your memoir and not visceral permission. There’s a huge difference between announcing, “I don’t care if my memoir upsets anyone!” and actually believing that in your heart and in your body. We’ll address this! Yes, it could be a memoir. But it could also be a novel. And if it were a novel, that would take care of some of the issues around upsetting friends and family. But isn’t memoir more honest, more authentic, and more personal—and more personally satisfying? Many writers get stuck right here, on the horns of this particular dilemma: memoir or novel, novel or memoir? We’ll address this! You have a story to tell. But it hasn’t ENDED yet. Can you write your story if you are still living your story? This Catch-22 can derail your memoir. We’ll address this too! You don’t need to have started your memoir yet. In fact, this is a great way to begin! You don’t need to be at any particular stage of the memoir process. This workshop is for memoir writers at every stage and every level. Whether you have just a few ideas jotted down, tons of notes, many chapters done, or are approaching the finish line, this workshop will serve you. There will be no sharing or critiquing of what you’ve written. That’s a feature of my workshops that writers really appreciate. It makes for an especially safe and productive environment. Get dressed or write in your pajamas. You will be at home! You do not need to connect via Zoom, Skype, or in any similar way. The workshop is email-based. If you’ve ever wanted to lead an online workshop, see how this model works! This is a great chance to work with me without having to make the large commitment that attending a live workshop requires. Can’t wait to see you aboard! This is an email-based workshop that you take in the comfort of your own home. 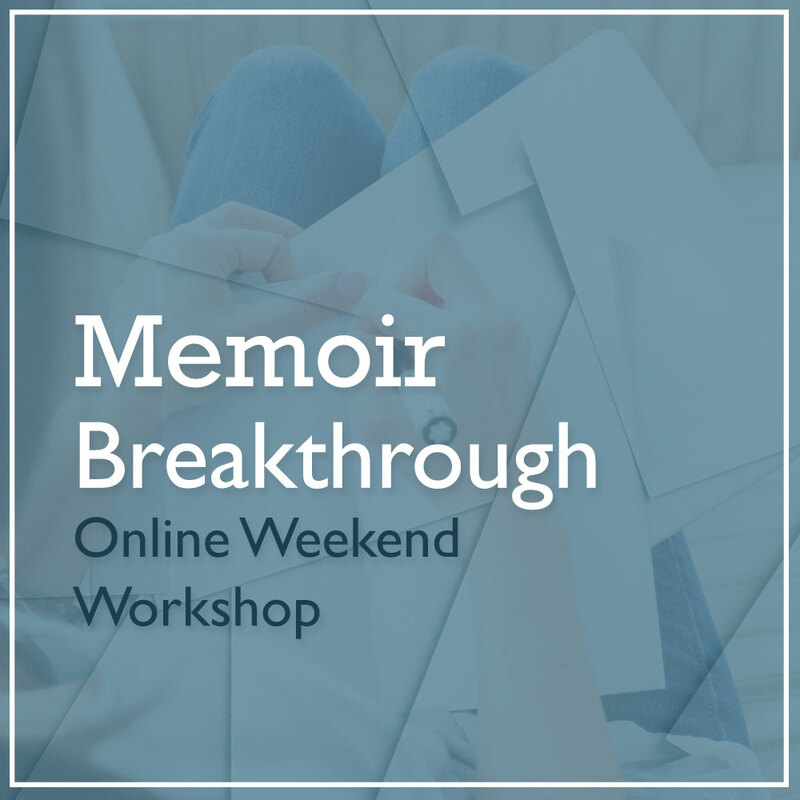 I will guide you throughout the weekend, answer your questions, and help you move forward with your memoir! Wherever you are. The workshop is conducted entirely via email. I will guide you throughout the weekend while you remain in the comfort of your study or living room. Please sign up now. This workshop is special and will serve you well!